You can listen to the Women in Sales Podcast here on iTunes. 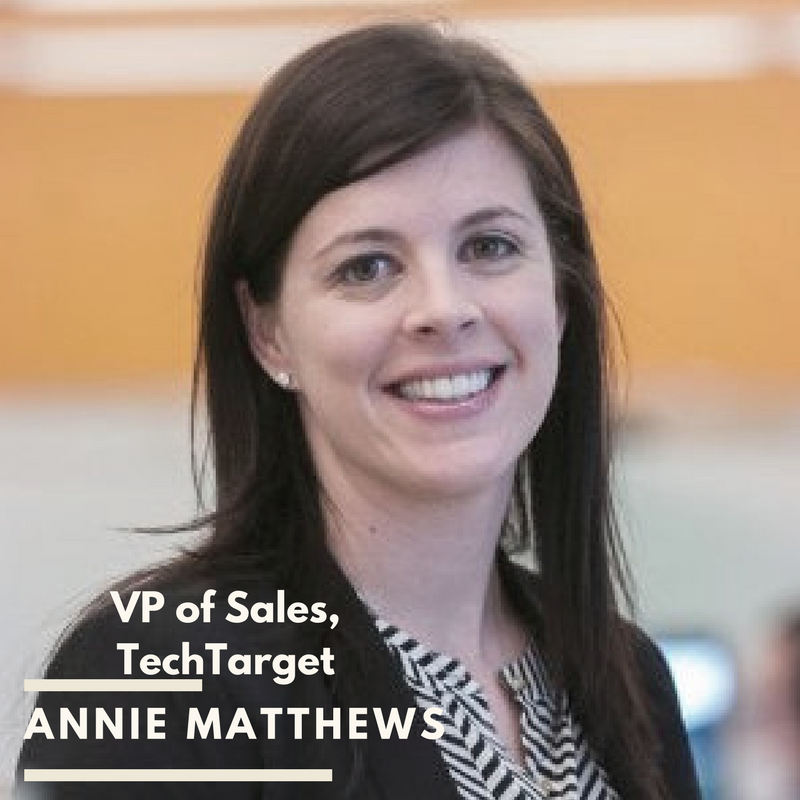 You can learn about Annie Matthews career path in sales here on her LinkedIn profile. If you are a woman who works in sales (any role in sales, any type of company- not just tech)… please, please fill out the form here to be on the Women in Sales podcast. If you know a woman on your sales team that you think would have a great story to tell about her career in sales please send her to us. We want to encourage more women to get into sales and stay in sales roles. We want to connect women who work in sales to each other so they can learn from each other. Subscribe to the Women in Sales podcast on iTunes here!